Shiro has been bringing you a spectacular Pan-Asian fare for almost a decade now along with stunning décor, soothing ambience and unique cocktails. This time around, the idea is focus on an ingenious menu with an innovative wholesome offering for the patrons who can relish a healthy meal at Shiro. All set to host a limited edition festival, ‘Ramen and Sushi Trails’, the culinary team at Shiro has handcrafted a delightful menu with dishes created around your favourite ingredients and flavours. The Ramen and Sushi Trails menu is helmed by Chef Rahul Hajarnavis who strikes the right balance with flavours, freshness, hygiene and technique. From the past decade, Shiro has consistently tempted the most discerning of palates with eclectic Pan Asian offerings and this time around it’s no different. The special menu brings out vivid flavours of Ramen with mushrooms, tofu and assorted proteins and seafood with the wholeness of wheat noodles blended with exotic flavored broths to satiate your cravings. With great thought and experimentation going into the Sushi & Maki dishes, Shiro has innovated an impeccable combination of tempura and sweet potato for the vegetarians while a rich taste of salmon with barbeque & pan seared renditions for sea food lovers. 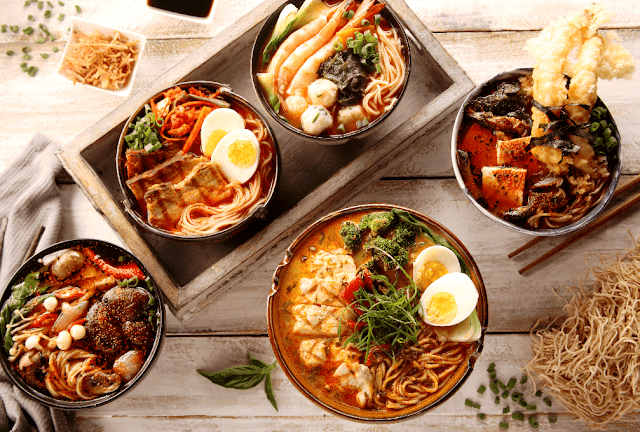 One can indulge in delicious Ramen bowls such as the Spicy Shoyu Mushroom Ramen with assorted mushrooms, truffle flavoured broth and light wheat noodles, Korean Kimchi Tofu/Chicken/Pork Belly Ramen, a delectable Korean kimchi spiced broth with a choice of protein and light wheat noodles or the Veg Kakiage Ramen. Sea food lovers can gorge on the Sriracha Seafood Samurai Ramen or the Miso Tempura Prawn with miso-soy flavoured broth and tempura fried prawn. Shiro will also offer a Spicy Chicken Laksa Ramen, a heart-warming tamarind - coconut flavoured spicy laksa broth with grilled chicken and light wheat noodles. The bowls of ramen are not only gratifying but also very healthy as they are prepared from light wheat noodles, proteins, veggies and light broths. Shiro is known for its sushis & makis and the menu also boasts of a range of new variety that includes the Crispy Sweet Potato Tempura Maki with spicy Japanese Mayo, Asian Barbeque Scottish Salmon Sushi with barbeque glazed grilled salmon served on top of vinegared Japanese rice balls which is a true delight. The love for truffle is endless and Shiro hits the right chord with its Truffled Mushrooms & Cream Cheese Maki with Philadelphia cheese and crunchy cucumber. 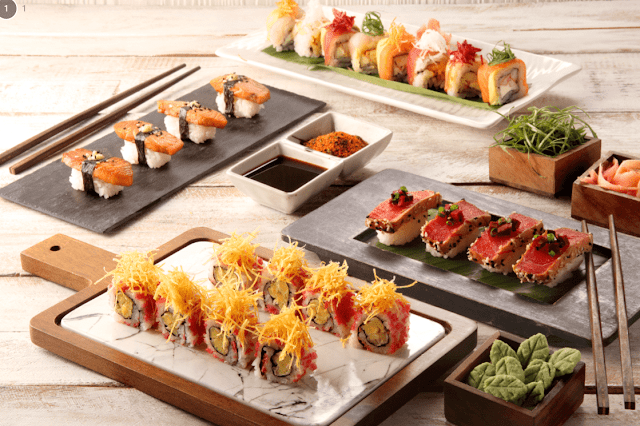 One can also enjoy a limitless portion of the Seared Ponzu Tuna Sushi with Beetroot Relish and the Rock shrimp tempura maki with sriracha honey mayo, a traditional maki roll with nori seaweed. When asked about the uniqueness of the Ramen & Sushi menu, Chef Rahul Hajarnavis, Associate Director Culinary at Shiro says “The idea behind Ramen and Sushi Trails was to do something different and new wherein the guests are engaged in trying out the new varieties. In Sushi, we have experimented with sweet potato and used it to make the maki roll. We have also combined mix mushrooms and cream cheese with truffle oil. We have done a tuna tataki marinated with ponzu and topped with beetroot and a special onion relish, which is very different and unique in flavour”. The Ramen & Sushi festival menu offers some of the most unique, delicate and soulful flavours with its focus on a healthy and holistic meal. It pushes the boundaries of a conventional Pan Asian meal and reaches out to your soul to deliver an unforgettable experience. Additionally Shiro offers this limited time menu as take away or delivery via Scootsy in Mumbai and Swiggy & Entrée in Bangalore.